Overall length: measure end-to-end when laid in a flat position, NOT the circumference. 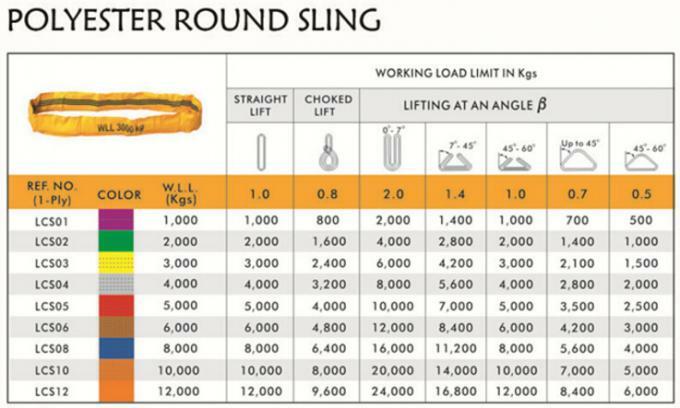 Before use, select the correct round sling with regard to its application, capacity and the​ surface conditions of the load (see designation on the labels). 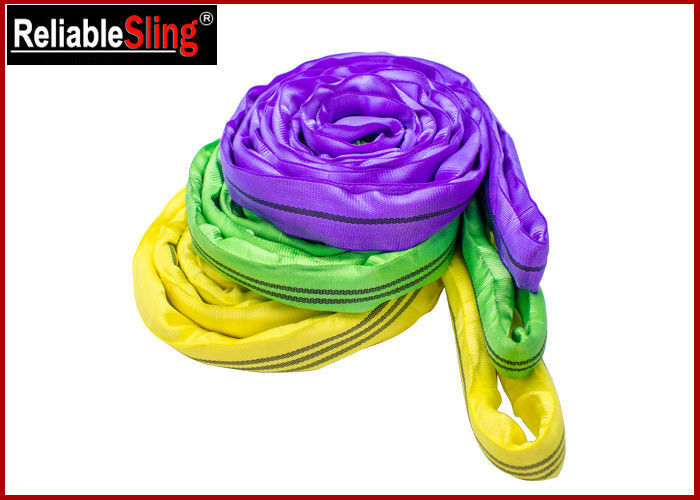 Examine the condition of the round sling (improperly maintained or repaired slings,​ including unreadable labels, must be excluded from further use). Never shorten a sling by knotting it. use wear sleeves and edge protectors where necessary. 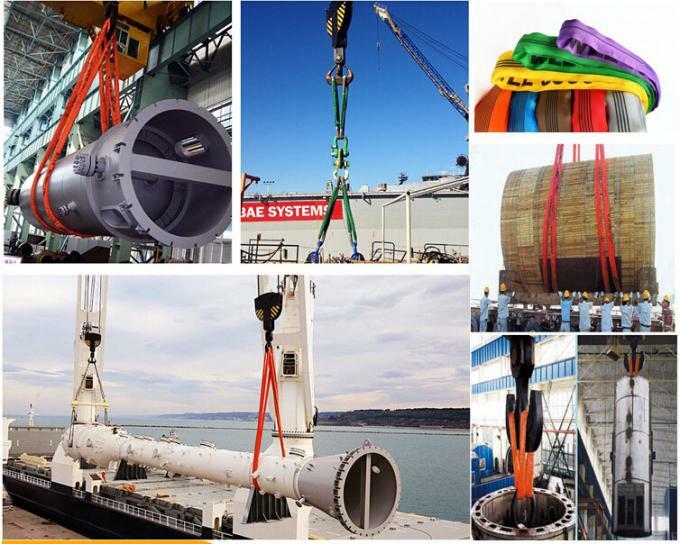 Loads may only be placed on slings if damage is precluded. --Any quality issues, high positive attitude to resolve it and warranty for customers' benefits! Sample order in stock, and 3-7 days for mass production. 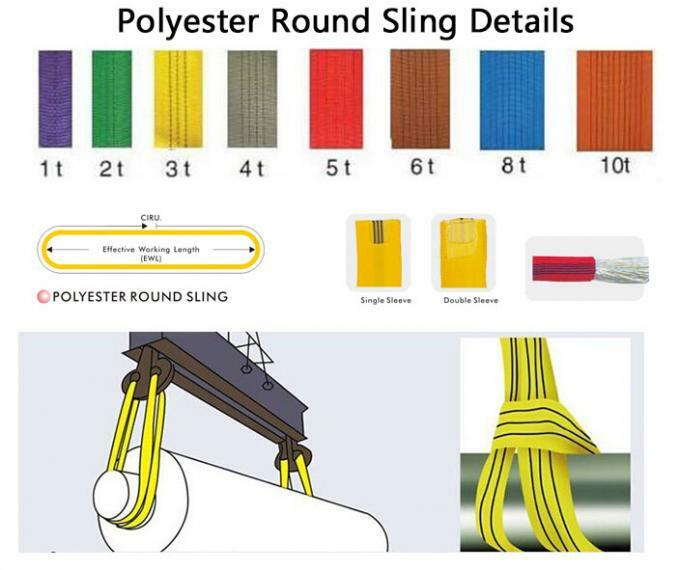 We are a factory focused on webbing sling over 10 years. We have numerous distributors at home and board. Q2: Can you provide OEM/ODM service? Yes. We have professional designers and engineers provide excellent OEM/ODM service. Usually it is 1000 pcs for each type. Q4:Which safety factor we can choose? 4:1, 5:1, 6:1, 7:1, 8:1. Q5: Do you have certificate? Yes, we have CE certification. Q6: What about logo printed? Yes, your own logo can be printed on label! Q7: How do you control your quality? Production process standardization, process standardization, refinement. The third party product inspections are acceptable. Q8: How can I get samples? We are honored to offer you a small quantity of free samples, but clients are expected to pay for the courier cost. Q9: What are your payment terms? Payment Terms: 30% Deposit, 70% When see the Copy of B/L aterials to finished goods. Q10: How about your delivery time? Delivery time will be within 35 - 45 days. We have a strict production schedule. When we get an order, we’ll draw up a detailed schedule. After confirmation with all departments in 3days, we will offer an exact delivery date.